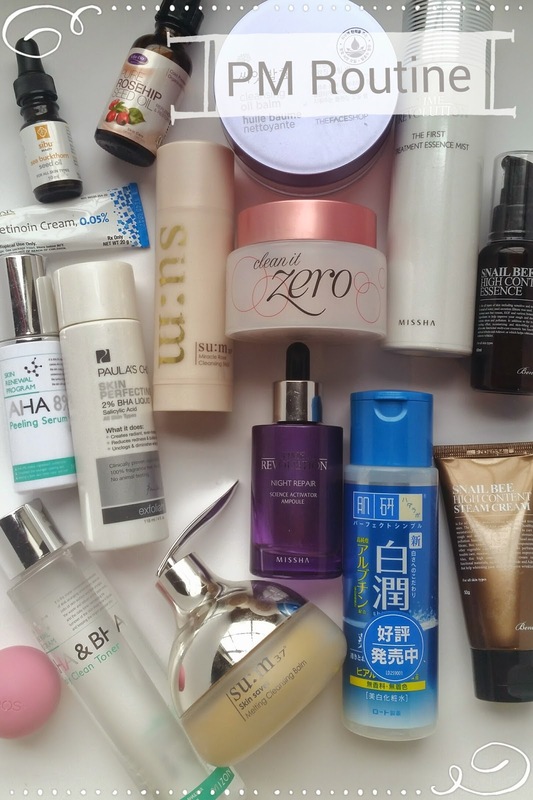 My Skincare Diary: Tretinoin, Foot Masks, DIY Vitamin C, and the Korean Beauty Routine | Holy Snails! Yes, I succumbed. 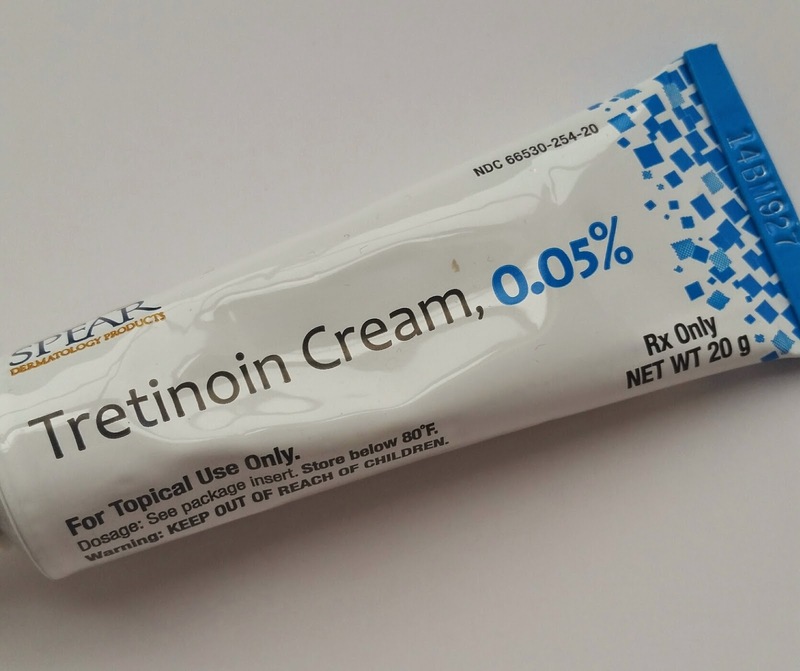 I've been wanting to try a retinol, and was looking at some schmancy options, as well as some DIY options, ...then I had an appointment with my derm for a mole check (everything's great! ), and I ended up with this. Plus, it's covered by my insurance, vs. $50+ for an OTC one. I've been on it for almost three weeks now, and after some shuffling of my routine, and some burny-ow-bad!idea moments, I think I've got it pretty figured out. It's a pain, because you have to wait 30 minutes after you cleanse, so my face is starving for some hydration, and then wait another 30 minutes before proceeding with your routine. This is a one hour commitment! I had some pretty gnarly flaking the first week, around day 4 (with daily use). The worst was when I went to wash my face, and there would be like a gooey sheet of dead skin that wasn't quite ready to come off, so I had to make a choice on whether to just...moisturize gooey dead skin (ew!) or scrub it off and expose my vulnerable new skin to all kinds of terrible things. Also, I had this genius idea to use my acids around day 4 or 5, following the Tretinoin to see if it would help with the flakiness. I have never had any product burn my face the way my innocent routine burned my face following Tretinoin. Like, it felt like it was on fire, and I was so tempted to wash everything off. My eyes were tearing up! Even my regular moisturizer burned after that. It was awful. Today, I got my first case of Dead Lips, as Skin & Tonics called it in her Tretinoin review. I kind of knew it was coming too, because I remember swiping close to my mouth area with the Tretinoin, and then later, spraying my Missha FTE mist all over, and smearing it evenly all over my face a little too early. Yep, my upper lip is kind of numb, and it feels like it's flaky and dry, but I've slathered that thing with lip balm and it looks fine so far. Hubby and I did the TonyMoly Shiny Foot Super Peel-yeah, the product is right there, so I'll stop. But we tried it out a week ago, and oh my gosh, y'all. I need this every week or two. My feet haven't been this soft and smooth since I was probably like five years old. Is it gross to post pictures of my feet? Probably. I'll refrain. But seriously, this is the best thing ever. Especially for $5 each use. You get it all! Foot mask. A couple of days later, you get to experience what it's like for snakes to molt. And then you get baby soft feet. I showed my toddler my feet. She's totally jealous. (No really, she was. She wanted "white foot for me, mama, please!" 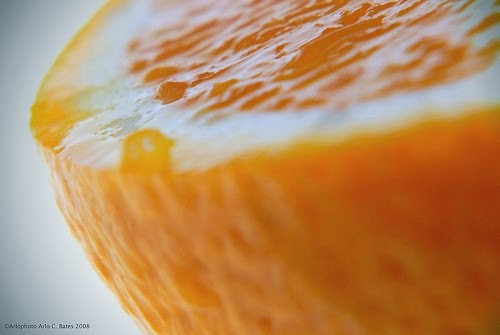 and didn't care that it was full of concentrated acids.) I'm going to try some other brands now, as this tends to be one of the pricier options. Ugh, loveitsomuch! I was going to do more, but honestly, my shopping carts were terrifying enough already. I've updated my skincare routine page. I'll be posting very soon on my take on the "Korean 10-Step Routine," and hopefully, that will help clarify things for some people. There is so much misinformation in skincare, even from alleged professionals, retailers, and especially the media. I'm definitely not claiming to be an expert and my routine is not perfect, but even just a little research shows how wrongly so many things are presented. There's a big difference between cosmetics and actual prescription drugs, but that doesn't mean you can't expect more from your skincare by understanding your skin, searching for the "right" ingredients, and applying some science to your routine.